Avid coffee drinkers can rely on a Keurig for its instant and no mess coffee brewing style. After all, who wants to deal with the mess of coffee grounds and old soggy filters? But with this ease, some complain that brewing one cup at a time is inconvenient and that’s a legitimate problem. The good news is that the Keurig 2.0 K250 is equipped with a 5-cup carafe brew capacity, making loading another pod and waiting for water to heat up, a thing of the past. 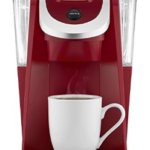 But how does the K250 compare to other Keurigs and is it worth ditching the traditional drip machine for a Keurig? The Keurig 2.0 K250 brewer is easy to use with its two-inch touchscreen. Capable of brewing a 30 oz carafe of coffee, Keurig has responded to people’s complaints about its limited brew capacity. This Keurig also comes with a “strength setting,” but it’s not adjustable: either it’s turned on or turned off. People who are pressed for counter space will be happy to discover that the Keurig 2.0 K250 is considerably smaller than the older models. This Keurig brews both hot and iced drinks, and for users who want options beyond the 500 varieties of Keurig 2.0 pods, they can brew coffee grounds with the reusable 2.0 K-cups. Brewers, who like it hot, however, may be disappointed by the Keurig 2.0 K250. It can only brew a cup of coffee between 192 to 197 degrees Fahrenheit, which barely reaches the optimal brewing temperature range of 195-205 degrees Fahrenheit. If the temperature is a deal breaker, the Keurig 2.0 K475 and K575 do offer five different temperature settings. There is some talk that the Keurig 2.0 models will brew coffee at the optimal temperature, though this is speculation and has not been confirmed. What’s interesting with the 2.0 Keurigs is that there are now K-mugs and K-carafes, when originally there were only K-cups. K-mugs are capable of brewing a 12, 14, or 16 oz coffee instantly, with room to fill a large mug for home or a travel mug. One perk of the K-mugs is that they are partially recyclable, unlike their smaller counterparts, the K-cups. For coffee brewers interested in brewing several cups worth of coffee all at once, the K-carafes can brew up to 30 oz. Using a built-in scanner, this Keurig will automatically recognize which pod it’s brewing. There is a slight issue with the built-in scanner, as several users have complained about their Keurig being unable to read coffee pods other than the official Keurig 2.0 pods. The K250 also seems to have an issue reading the older Keurig k-cups used in Keurig’s older models. 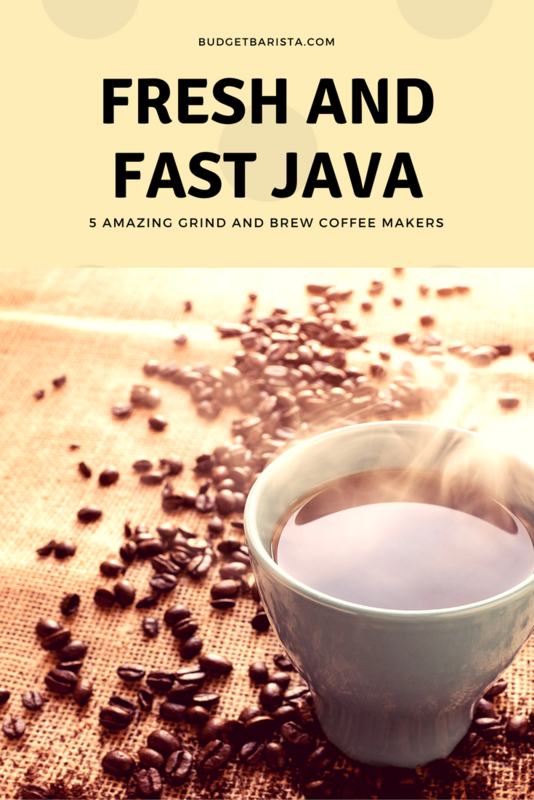 Frustrated coffee drinkers can find some relief in that there is a way to get around this pesky issue. By placing these stickers on top of the older Keurig k-cup or other brands of coffee pods, it tricks the built-in scanner into thinking it’s another Keurig 2.0 k-cup. The back of the Keurig contains an easy to remove water reservoir. It’s a snap to clean and refill, and when attached to the Keurig, there is a water level window that indicates how much water is available. But because the reservoir only goes up to 40 oz, avid coffee drinkers, especially when it’s more than one or two people, have complained about having to constantly refill the reservoir. Interested in brewing something outside of the 500 choices to pick from? No problem. The Keurig 2.0 K250 brewer can use reusable K-cup filters, and for those who want to be eco-friendly while brewing an entire carafe of coffee, it can also use reusable carafe filters. For home baristas who like to brew in style, they can choose between seven colors: black, orange zest, sandy pearl, strawberry, turquoise, violet, and white. For those expecting a difference between the Keurig K200 and the Keurig K250, prepare to be disappointed. They’re exactly the same! The only difference between the two is the K200 only comes with the brewer. The K250 comes with the brewer and a handful of accessories, including a descaling solution, removable filters, and a k-cup variety pack. 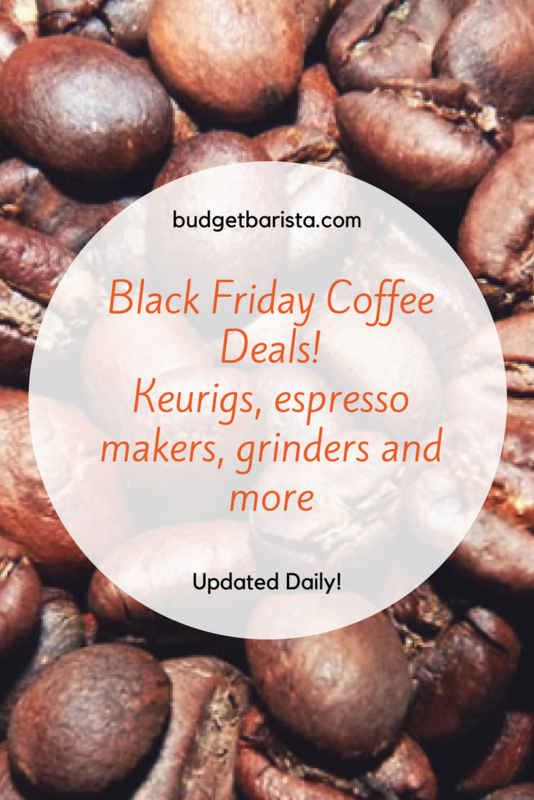 Coffee-lovers who expect something more from the Keurig 2.0 brewers and are willing to spend extra for it, would want to consider either the K475 or K575 model (click to see prices on Amazon). The K250 brews just as much as the other two models, but the K475 model has a 70 oz removable water reservoir versus the K250’s 40 oz reservoir. The K475 comes with an auto ON and OFF switch, and an energy saver mode. People can also enjoy the K475’s favorite settings, and unlike the K250, the K475 provides a carafe. But the best the Keurig 2.0 brewers have to offer, is the K575, which includes not only all the perks that the K475 provides, but a few other improvements. The K575 has an 80 oz water reservoir, hot water on demand, a built-in nightlight, and a K-carafe auto-brew setting. Easy to Use. Its touchscreen is easy to use, providing the correct size settings once the pod is inserted and scanned. Because the water reservoir is removable, cleaning and refilling it is easy. Large Brew Capacity. Unlike previous models of the Keurig, coffee drinkers who prefer drinking multiple cups of coffee in one sitting can with the K250 which brews up to 30 oz of coffee. Reusable Filters. 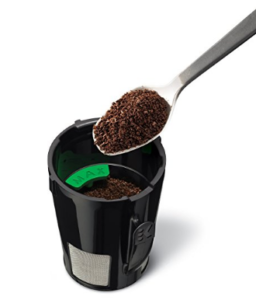 The K250 can use the Keurig 2.0 reusable filter, which is great for users who want to brew their favorite coffee grounds and save the environment. It’s also a plus that there are reusable carafe filters available. Fun Funky Colors. 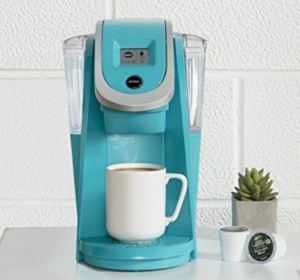 Ranging between versatile neutral colors to some eye-catching bright colors, it’s a nice feature included that you can choose what color Keurig best complements the kitchen. Cheapest Keurig 2.0 Option. 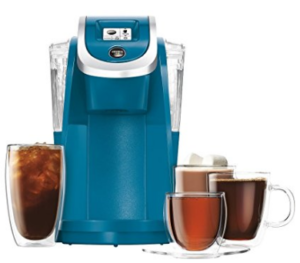 Compared to the other models available, the K250 model is the cheapest available, capable of brewing the same amount of coffee as the more expensive models. Smaller in Size. For people pressed for counter space, the Keurig 2.0 K250 might solve that problem. Users have praised how compacted it is compared to older Keurig models. It’s Slow to Heat Up. Heating up the full water reservoir is a little time consuming for users running short on time. It takes approximately 3 minutes to heat up the entire water reservoir. No Auto-Power Setting. This Keurig won’t automatically turn off after use. Coffee drinkers will have to manually turn off the K250 after every use. There Is A Heat Limit. Coffee-lovers, who like their coffee hot, might be disappointed with the Keurig K250, as it only brews a cup of coffee up to 197 degrees Fahrenheit, whereas the optimal brewing temperature is between 195-205 degrees Fahrenheit. No Carafe Included. If the reason for purchasing this Keurig is its multi-cup brewing capacity, be prepared to purchase the carafe separately. The Scanner Won’t Read Outdated K-cups or Non-Keurig Pods. If there’s a surplus of older k-cups and other brand coffee pods sitting somewhere inside the cupboard, the K250’s built-in scanner won’t read them. Lack of Durability. Users of the Keurig K250 have complained about its lack of durability, some saying it breaks down as quickly as a couple of weeks or just one month into use.